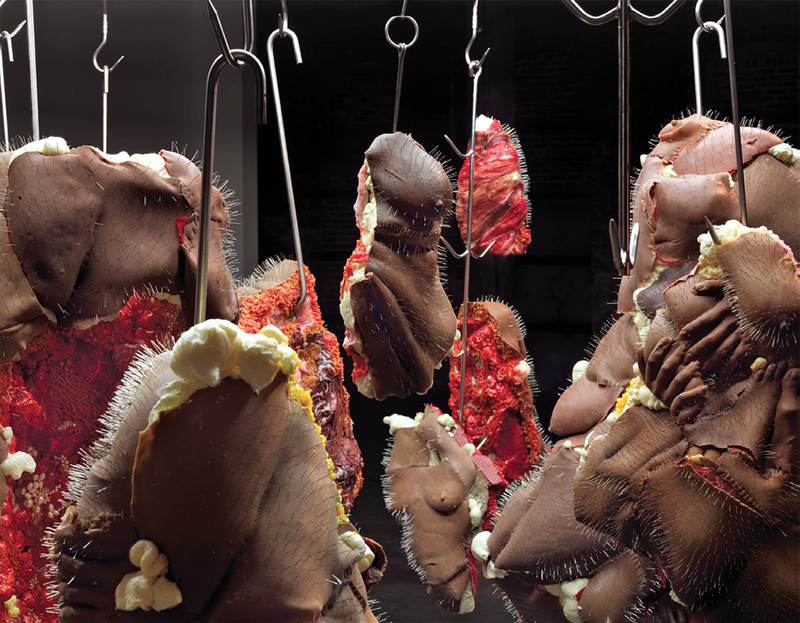 Doreen Garner, Rack of Those Ravaged and Unconsenting (detail), 2017, silicone, foam, glass beads, fiberglass, insulation, steel meat hooks, steel pins, pearls, 96 x 96 x 96". Doreen Garner and Kenya (Robinson) offered a challenge to deep-seated legacies of revered white men in America with their exhibition “White Man on a Pedestal.” After collaborating for two years, the artists put together eight new sculptures and installations (all works 2017) at the largest scale of either of their careers to date. 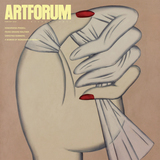 As stories of sexual misconduct and harassment proliferate against the white supremacist backdrop of Donald Trump’s presidencyincluding allegations against former Artforum copublisher Knight Landesmanit has become clear that white men won’t descend from their pedestals willingly.